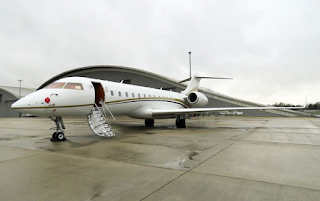 Three men have been jailed for trying to smuggle half a tonne of cocaine into the UK on a private jet from Colombia. 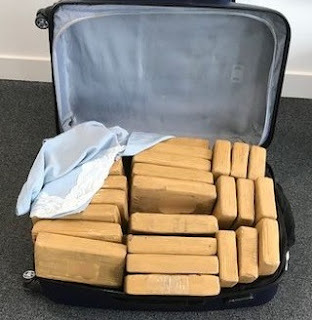 They were stopped at Hampshire's Farnborough Airport with 513 kilos of the drug in 15 suitcases after flying in from Bogota in January. Martin Neil, 49, Italian Alessandro Iembo, 28, and Spaniard Victor Franco-Lorenzo, 40, were found guilty. The three men were jailed for 24 years each. They took off from Luton on a private jet costing £138,500. When they returned, officials looked past a few dirty clothes in their suitcases to find some 513 blocks of cocaine with a purity of around 79%. The wholesale value was £15m but the cocaine could be sold for more than £41m on the street, the prosecution said. Despite the luxury mode of transport, they could have made more than £15m in profit from the trip. The defendants were not the masterminds of the operation. Lawyers said their clients had been "deceived", believing they were off to Colombia to help with charity work and did not know the suitcases were packed with cocaine.